A vibrant history and a bright future complement each other at the Keystone theatre. Whether you are coming out for the latest movie or a live event, we provide memories which stick with you. The Keystone Theatre turns 125! Now in its 131st year of operation, the Keystone Theatre, originally built by Elias W. Hale as Hale’s Opera House, opened its doors for its first public performance on September 21st, 1887. Hale and his wife, Mary Hale, owned the opera house from 1886 to 1908. The theater was then purchased by Edward L. Smith and Charles P. Welles and was renamed the Keystone Opera House. That name stuck until 1921 when the building was sold to William Woodin. From that point on the theater became known by what it is today, the Keystone Theatre. Through the years, the Keystone Theatre has undergone several physical transitions including, the addition of a smaller 106 seat stadium-style seating theatre, now named the Taylor Theatre, a major renovation to the Dunn Center for the Performing Arts (historic auditorium) and a complete transition from 35 mm film to a fully digital projection system in 2012. Although the theater may not look exactly as it did when it was built, it remains a central landmark in the community. 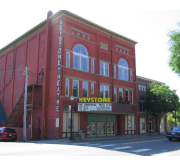 Owned and operated by the Bradford County Regional Arts Council (BCRAC) since 1988, the Keystone Theatre continues to offer a wide variety of entertainment. 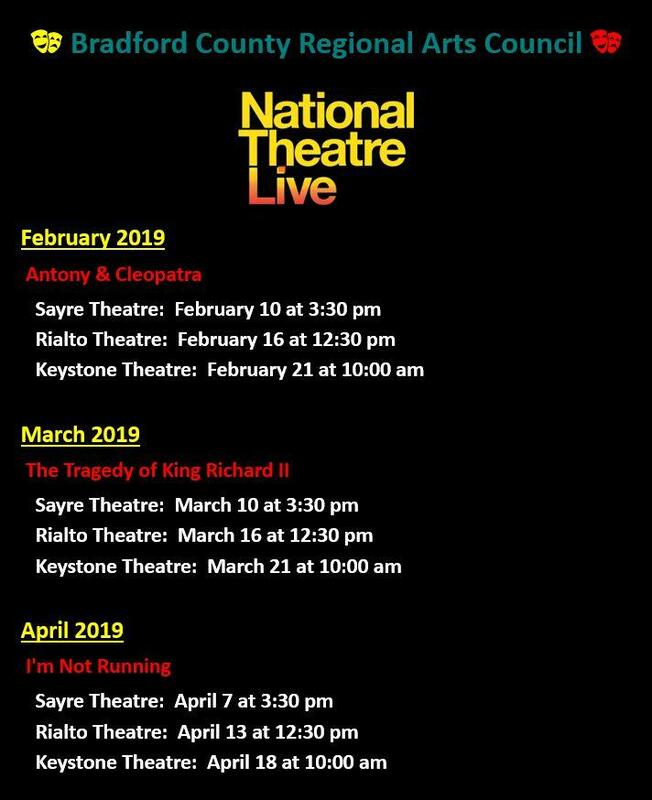 The Nightlife Presents series, Schooltime Youth Series, National Theatre Live series and first run commercial movies are just a few of the offerings that can be seen at the Keystone Theatre. As technology and cinematic experiences have changed, BCRAC has adjusted to keep up. In June of 2014, the BCRAC signed with a new movie buying agent, Jeffrey Jacobs of Jacobs Entertainment Inc. in Rye NY. As the buying agent for the BCRAC, Jeffrey negotiates with the movie studios (Fox, Sony, Warner Bros., etc…) on behalf of the organization to ensure we are able to offer the best programming to the patrons of all three BCRAC theatres. For information on the Keystone Theatre movies and events, please visit our movie website at bradfordcountymovies.com.